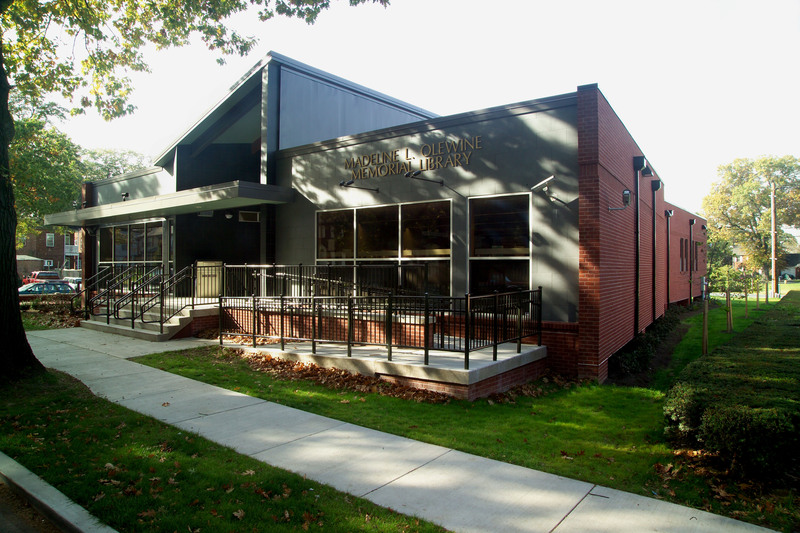 The library wanted to stay in its existing location but needed a total redesign, from the ground up, to meet regulations for getting it out of the flood plane of the Susquehanna River. By changing the foundation to piers we were able to elevate the floor to one foot above flood levels. If the river floods, now the water washes under the building. We then changed the main entrance to be at the rear of the building which made it much more accessible to patrons and doubled the number of users in just eight months. From the front of the building, which is now the rear entrance, you can see the raised elevation. We engaged a seismic monitoring company to monitor vibration levels on the site so we could remove rocks to clear the ground to put in the pier supports. 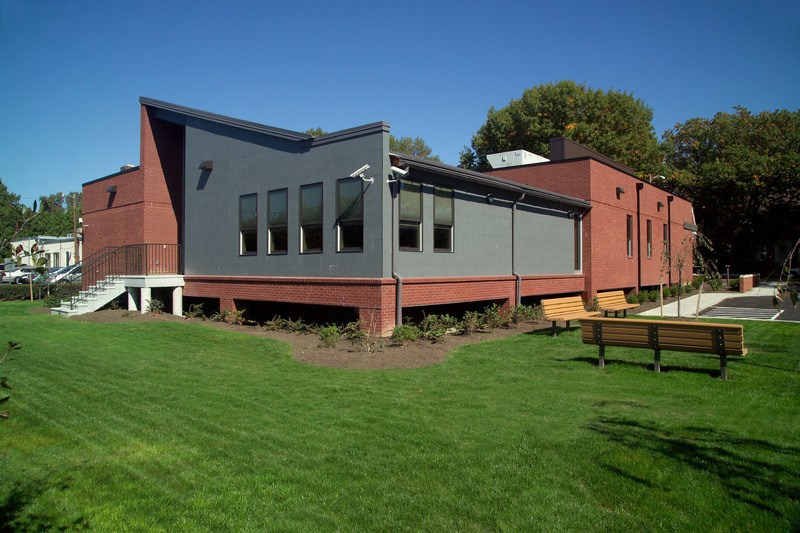 The masonry exterior includes brick and large glazed ceramic tiles. Corner windows provide ample natural light to the interior. Natural light streams throughout the new library interior. 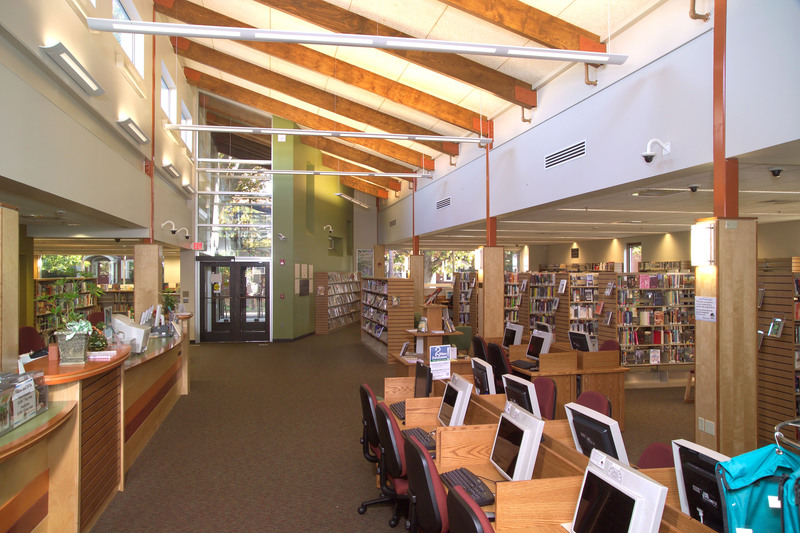 A variety of other interior lighting options provide the perfect amount and type of ambient lighting for the main desk, computer stations, and the library stacks. The angled ceiling with wood beams is further framed by narrow strips of lighting that give a huge sense of openness at the checkout desk, differentiating that part of the building from the cozier side where books are displayed. A compatible color palette of muted tones provides subtle divisions of places within the room and enhances easy orientation for patrons. 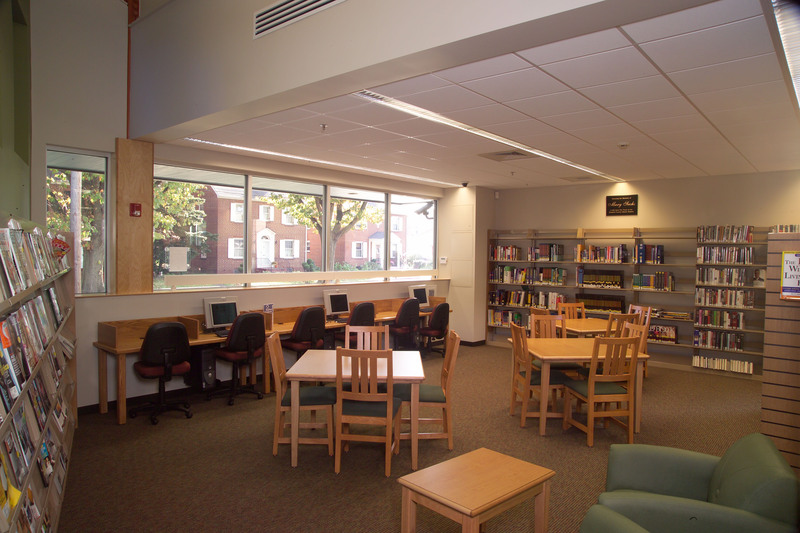 The adult reading area is designed to give options to users, including individual computer workstations, tables and chairs for research and desktop focused tasks, and comfortable seating areas for reading. The large expanse of windows connects this quiet room with the outside neighborhood.